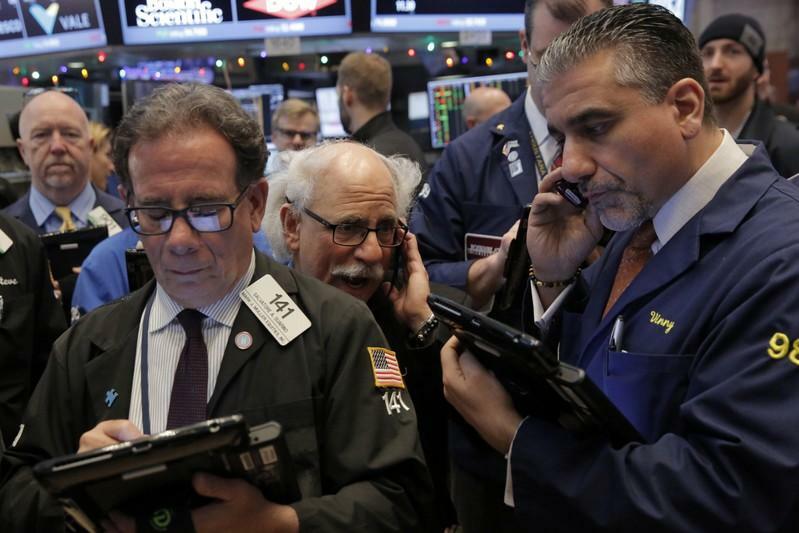 (Reuters) - U.S. stocks rebounded on Monday after two bruising weeks, as investors picked up beaten-down energy and financial stocks, while retailers gained on hopes of robust sales on the largest online shopping day of the year. E-commerce giant Amazon.com Inc jumped 3.4 percent, providing the biggest boost to the S&P 500 and the Nasdaq. The consumer discretionary index <.SPLRCD> rose 1.75 percent. The energy index <.SPNY> rose 1.52 percent as oil prices recovered some losses from its near 7 percent plunge on Friday, while financials <.SPSY> added 1.97 percent, helped by gains in JPMorgan Chase & Co and Goldman Sachs Group Inc .
High-flying technology stocks have been at the centre of the recent selloff, which has been triggered by a number of factors including U.S.-China trade dispute, rising U.S. interest rates and signs of global economic slowdown. Other automakers, including Ford Motor Co and Fiat Chrysler Automobiles NV , , also rose. At 12:29 a.m. EDT the Dow Jones Industrial Average <.DJI> was up 245.77 points, or 1.01 percent, at 24,531.72, the S&P 500 <.SPX> was up 26.90 points, or 1.02 percent, at 2,659.46 and the Nasdaq Composite <.IXIC> was up 84.45 points, or 1.22 percent, at 7,023.43. "I don't think you are going see a complete solution to the trade dispute, but you are going to see a path towards a solution," said John Lynch, Chief Investment Strategist for LPL Financial in Charlotte, North Carolina. The technology sector <.SPLRCT> rose 1.09 percent after dropping more than 6 percent last week, its worst fall in eight months. Nvidia Corp rose 1.9 percent after Credit Suisse began coverage of the chipmaker with an "outperform" rating. The defensive consumer staples <.SPLRCS> and real estate <.SPLRCR> were the only major S&P sectors to trade lower.